I hope you had a wonderful Easter with the children. I enjoyed five days in France with the School and I can honestly say it was a delight being with the children: well behaved, well-mannered and good company. I was also in school to watch our renovations continue. The new seating in the Prep & Senior School Hall has already transformed our performance space and I cannot wait for our production of Oliver! We’re looking to utilise the Hall for our end of year celebrations. The Nursery & Infant Festival of Achievement will, once again, be held in the Hall and further details will be provided at a later date. 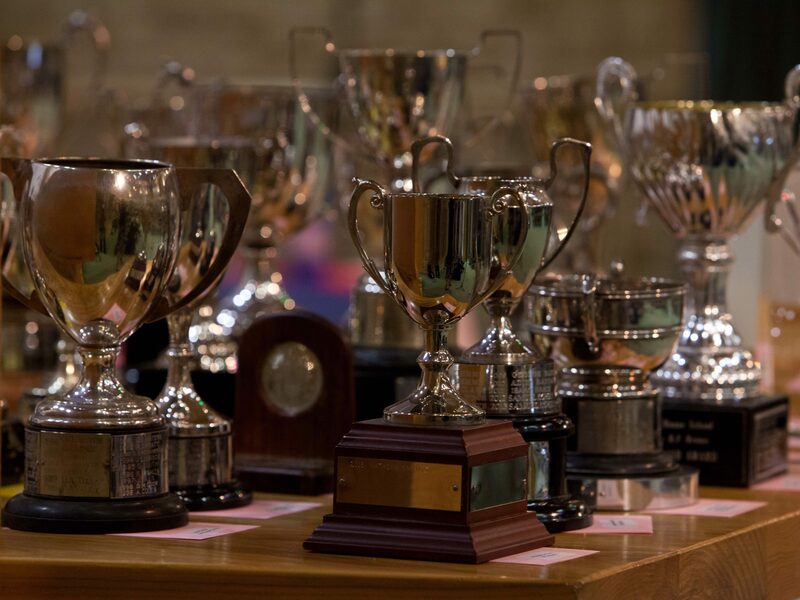 This year, we will be running separate Prize Givings for the Prep School (Years 4-6) and the Senior School (Years 7-10), both hosted in the Prep & Senior School Hall. Having separate events in school will be much less disruptive to the end of term and will allow us to have succinct gatherings which will be a celebration rather than a test of endurance. Again, further details will be with you soon. Prizes for Year 11 will be awarded in the Autumn Term when we invite them back for their GCSE Presentation Evening. The Prep & Senior School is hosting a Spring Concert next Wednesday. Our talented musicians will be performing and rumour has it they are being joined by a few of the highlight acts from Red House Has Got Talent. I look forward to seeing many of you there. Our next Open Morning is taking place on Saturday 6 May. Thank you in advance to those parents who are able to help: governors, members of the PTA and taxi drivers for the children. As per usual, we would like as many children here as possible to help. Please also share our Facebook post as much as possible and encourage friends to come along. Claire in Admissions is happy to send a ‘snail mail’ invitation to anyone less IT savvy; just let her know their contact details. There are an enormous number of unnamed items currently unclaimed in the Prep & Senior School (including a significant number of pairs of trainers). We are diligently trying to reunite the items with their owners but some of the children are struggling to recognise their own kit. Should your son or daughter be missing items please ask them to check the items currently sitting on the stage in the Hall. Sadly, they cannot be kept forever and will be donated to a worthy cause if unclaimed. Mrs Green also has a few items in the Nursery & Infant School; do pop in and see her should items have gone astray. I hope you have a wonderful weekend with the children. I’m spending the weekend with the children undertaking their D of E expedition. Please pray that the sun continues to shine so that I’m still smiling for the children on Monday.